It’s inevitable. Aging will catch up to us all, one way or another. But not all of us will choose to do something about the fine lines and wrinkles that are associated with aging. For those of us motivated to do something about it, the good news is that there are a variety of facial treatments available to us. But which is right for you and your needs? Is BOTOX® a viable choice in 2019? To the latter question, the answer is a resounding yes. To answer the former, however, requires medical expertise combined with the knowledge of what you are looking for on a personal level. At Front Range Plastic Surgery, we look forward to helping you achieve your cosmetic and reconstructive goals. For our readers in Colorado, Nebraska, and Wyoming, we offer cosmetic and reconstructive procedures tailored to your health and beauty goals. Dr. Schutte, our Board Certified Plastic Surgeon, offers free consultations that are both educational and confidential. If you are looking for experienced and trustworthy advice from an expert who listens to your needs, Dr. Schutte and our team of specialists at Front Range Plastic Surgery is an option worth considering. Now, for the remainder of today’s blog, we’d like to highlight a few noteworthy facts about BOTOX® to help guide you through your decision-making process. Let’s discuss the basics of what BOTOX® is, before anything else. BOTOX® is the first and only FDA-approved prescription product that will temporarily better facial wrinkles in adults. Specifically, this injectable improves the appearance of moderate to severe “crow’s feet” and frown lines in adults. While other facial rejuvenation procedures take hours and require significant downtime in many cases, BOTOX® treatment requires no downtime whatsoever! For our patients who want to diminish fine lines and wrinkles without taking too much time out of their day, BOTOX® represents a viable option. BOTOX® uses an extremely fine needle to inject the formula into the facial muscles which have tightened over time. The injectable will then relax affected muscles by blocking the neve’s signal to the muscle, making it less capable of contracting — the cause of wrinkles. In this way, BOTOX® can smooth wrinkles between the eyes, “crow’s feet,” and in the forehead. There’s little wonder why BOTOX® is the top-selling product of its kind! We’ve addressed the core benefit of BOTOX® above — it’s a non-surgical way of reducing facial lines and wrinkles. To conclude this point, BOTOX® is minimally invasive as it allows both men and women the chance to improve their complexion without cosmetic surgery. But there are other benefits for which BOTOX® has been studied. BOTOX® has been proven to lift the brow. As many of us know from personal experience, the brow tends to drop over time, making one appear tired. BOTOX® has been shown to slightly lift the brow, which helps your face to appear less aged and more youthful! Additionally, receiving a BOTOX® injectable treatment can have an impact on patients who deal with excessive sweating. Many have to endure the embarrassing nature of frequent sweating under the arms, sometimes on a daily basis. A BOTOX® Cosmetic treatment can possibly reduce the amount of sweat produced in a targeted area. Speak to your physician about this option at your convenience. The effects of BOTOX® typically last between three and four months. By nature, it is a temporary solution. As time passes, wrinkles and lines will resurface. 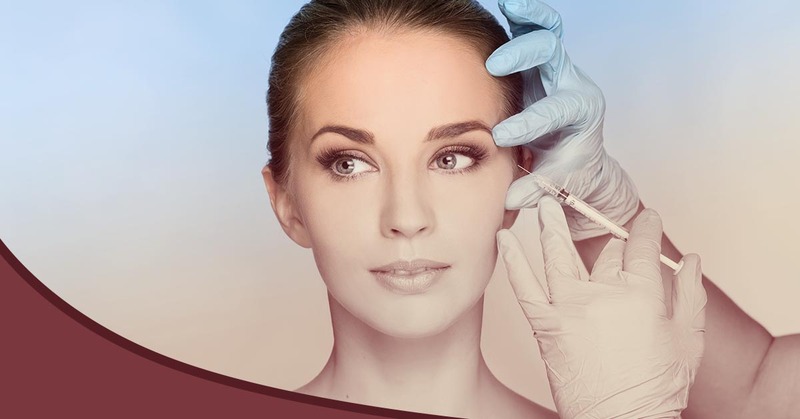 Each patient has a unique experience with BOTOX®, so we will be sure to monitor yours to determine an appropriate timeline for regular treatment. We hope you’ve found the above information practically beneficial. If you are ready to discuss your options with us, we’d love to hear from you and schedule your free consultation. Dr. Schutte and the rest of our dedicated staff offer experience, privacy, and a dedication for improving the lives of our patients. Achieve beauty, wholeness, confidence, and balance at Front Range Plastic Surgery!